On Saturday, October 27th at 12:30pm, the town of Madison will host their annual Halloween Parade followed by a Magic Show by Joe Fischer and trick-or-treating in the downtown business district. In addition, from 3:00 – 5:00pm, the Madison YMCA will host its annual costume party for the entire family. There will be creepy crafts, an obstacle course, dance party, bounce houses and more! On Tuesday, October 30th, The Village Play Cafe will host its annual costume party. This event includes open play for your child, Halloween crafts, trick or treating in the village and yummy snacks. The cost is $25/child or $40/family, but you will have the chance to win 3 free open play passes by being voted the best costume! Also on the 30th from 10:00 – 11:00am there will be a Halloween parade at the Library of the Chathams. Meet in the children’s room and the kids will parade around the library grounds. The Optimist Club of Westfield’s Annual Halloween Parade and Costume Contest will take place on October 28th between 1:30 – 4:00pm. The Downtown Westfield Corporation’s costume contest will follow shortly afterwards, along with Pugsley’s Trunk or Treat. The South Avenue train station becomes Halloween trick-or-treating central, with prizes distributed for best car decorations. Scream on the Green will take place on October 26th at 6:00pm and feature the movie Peter Pan. Before the movie, get moving during the Monster Mash Dance Party or warm up around the bonfire with some free S’Mores! On October 31st, everyone is welcome to march in the Halloween Parade through downtown Summit ending at the Village Green. Celebrity judges will be on the lookout for the scariest, funniest, and best overall costumes throughout the event. All costumed event participant will automatically be entered into the Chilling Costume Contest. From 2:00 – 4:00pm that day, children are invited to don their costumes and venture into downtown Summit after school. Downtown businesses displaying a Trick or Treat poster in their window will be waiting to hand out treats. Maplewood’s annual Halloween Parade will return from 3:00 – 5:00pm in downtown Maplewood. Village streets close at 3 pm for trick-or-treating. Enjoy a costume contest with prizes, music and hundreds of your Maplewood neighbors in their Halloween finest! On Halloween from 4:00 – 6:00pm, the annual South Orange Halloween Festival will take place in Spiotta Park. Wanda the Witch will be back to play Halloween games and the students from SHU’s Colleges Against Cancer will once again host their Creepy Corner. Stay for the costume contest where every entrant gets a gift and the winners in several categories are awarded great prizes from local merchants. On Halloween, the Fire Department will host its annual Halloween Festival from 5:00 – 8:00pm in the rear parking lot behind the Department’s Essex Street headquarters. Participants will enjoy hot dogs, pony rides, and a bouncy house. Complimentary donuts and cider will be served. New Providence is once again hosting their annual Scarecrow Contest. The contest encourages New Providence residents, businesses, civic organizations, school groups, sports teams, and families to build the wildest, cleverest, funniest scarecrows imaginable (within contest guidelines). The scarecrows will be on display throughout the downtown. People can vote for their favorite scarecrows from October 13 through November 2nd and voting ballots and voting boxes will be available at participating downtown businesses. 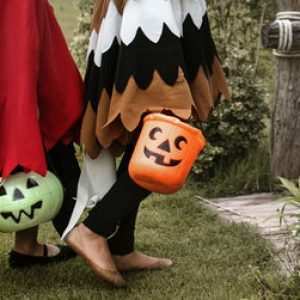 In addition to the Scarecrow walk, children can trick-or-treat at local participating businesses in downtown New Providence on Saturday, October 27, 2018 from 1:00 – 3:00pm. On October 27th from 10:00 – 12:00pm, start celebrating Halloween at the Berkeley Heights YMCA with Halloween activities for the whole family, including climbing a Spooky Spider’s Web loaded with candy or creating creepy-crawly crafts to take home and enjoy. Costumes are encouraged. On October 27th, Livingston Fright Night and Trunk or Treat will take place from 4:00 – 8:30pm at the community center. A family photo booth, face painting, contests and treats will be available. Kids will also be able to walk from vehicle to vehicle in the parking lot of LSCC collecting treats in their costumes. At 4:30pm, participants will have the opportunity to parade around the Senior Community Center in their Halloween costumes. Prizes will be awarded with 2 winners from each category. The Livingston Dance Academy Halloween “Flashmob” will take place at 5:00pm. Don’t Miss the Turtle Back Zoo Safe Howl-O-Ween on October 31st from 4:00 – 8:00pm. 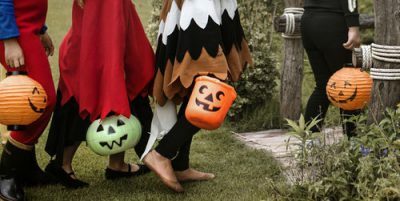 Children can trick-or-treat at candy stations that will be located throughout the grounds, plus stilt walkers and shows. Happy Halloween from The Sue Adler Team!